Hello and welcome! 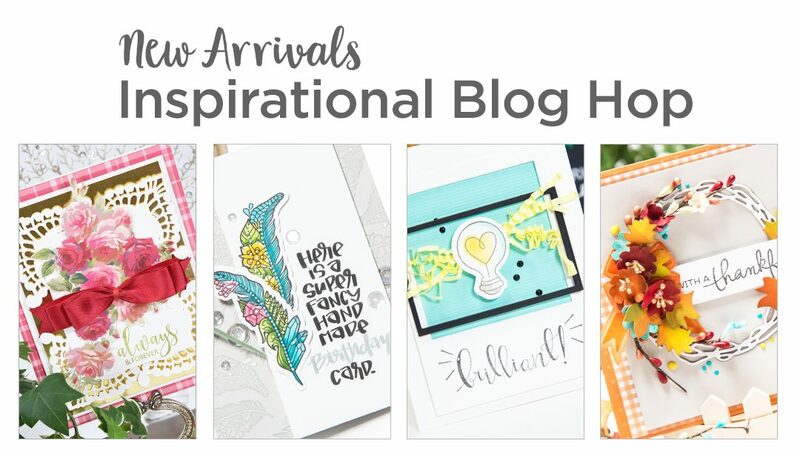 We are happy you are joining us for our November 2017 Release Collections Blog Hop! 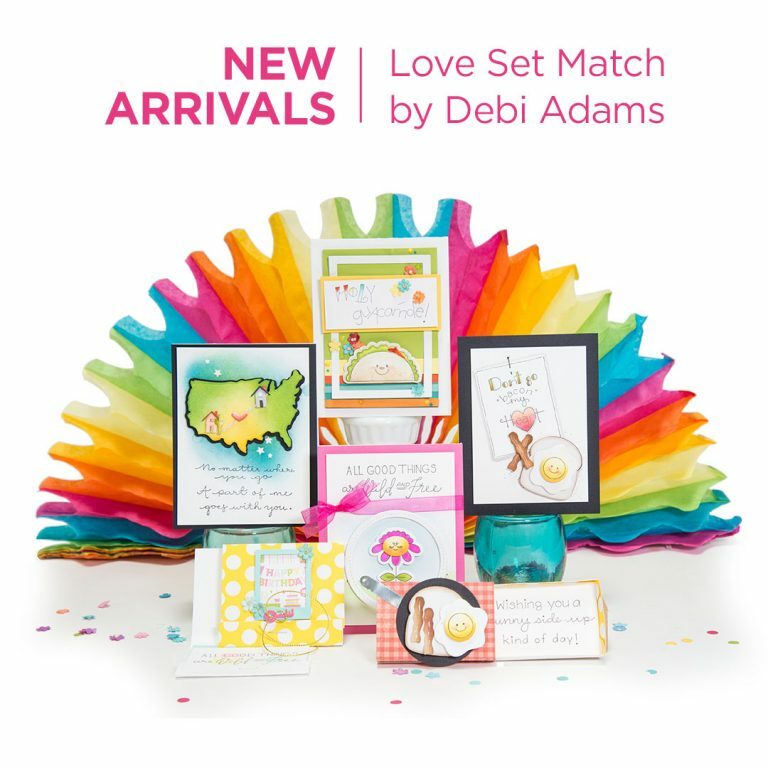 We are excited to show you our new products, share inspiration and of course host a few fun giveaways! 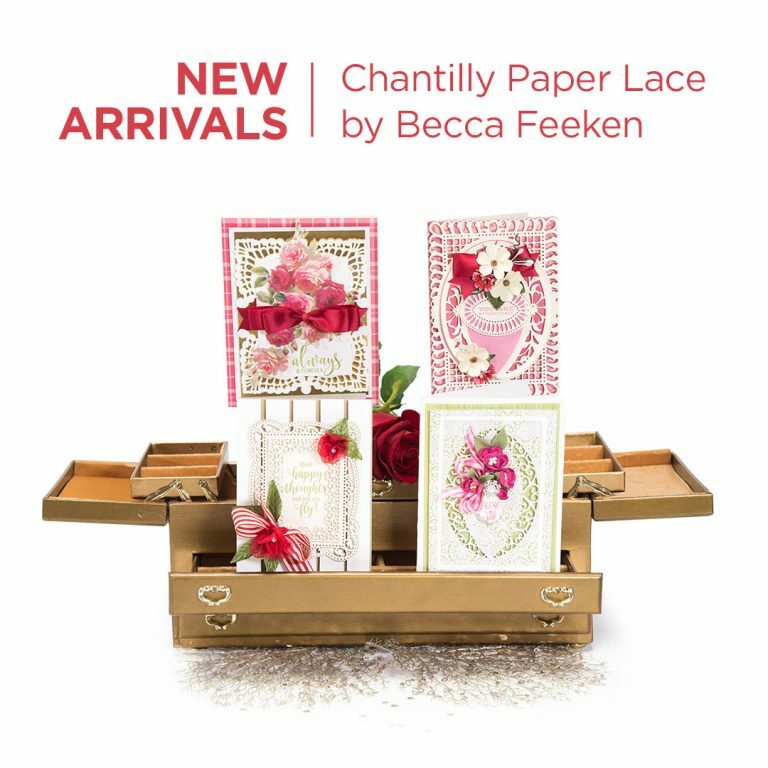 This month we are featuring: Chantilly Paper Lace by Becca Feeken, Four Seasons by Lene Lok, Cool Vibes by Stephanie Low and of course Love Set Match by Debi Adams. Take a few minutes to browse the new products we have in the store for you! Click the images below to visit our store. 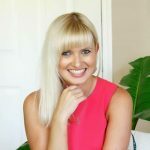 Our in house creative designer Yana Smakula has created a project to share with you. 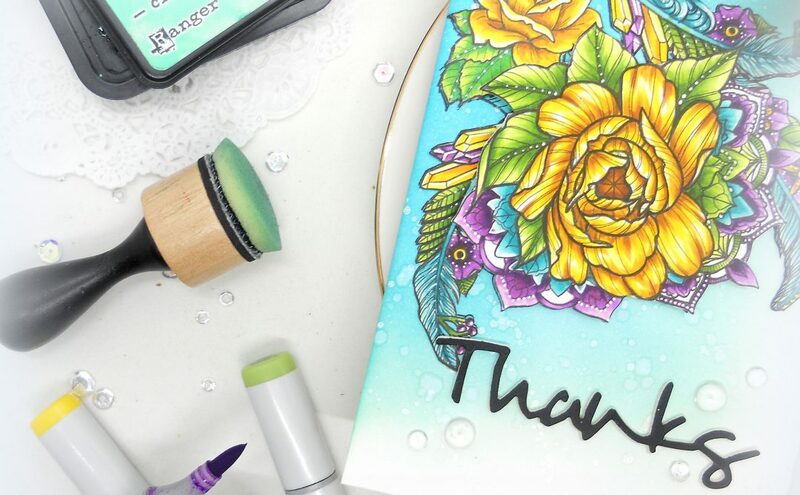 At the end of the post we have details on a fun blog hop to inspire you featuring our designers and some amazing guest artists! And of course a chance to enter our giveaway! 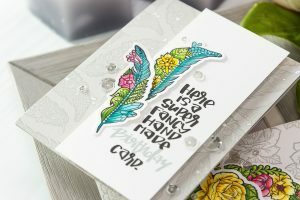 Yana says: It was so fun to make this “Super Fancy Handmade Birthday Card” using Stephanie’s Feathers stamp & die set. She’s a fantastic tattoo artist and has some awesome ideas that Spellbinders translated into stamps and dies. If you look closely you’ll spot a ton of interesting detail to these feathers (and all of her images, really). I stamped feathers in Hero Arts Intense Black ink (use any alcohol marker friendly ink) and colored 2 feathers using Copic markers. I also used a white gel pen and added white dot details for some interest. Coordinating dies came very handy and I cut my images out in Platinum 6 machine. Coordinating dies in this collection create a wider edge along the stamped line, this is something different and rather fun! 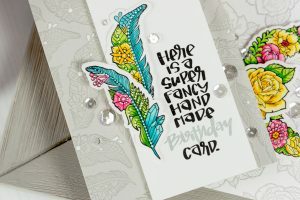 I also stamped identical feathers in Versamark Watermark ink onto light gray panel to create a background for this card. I love using this trick – stamp same image in pale ink color and in black to let the black one pop. 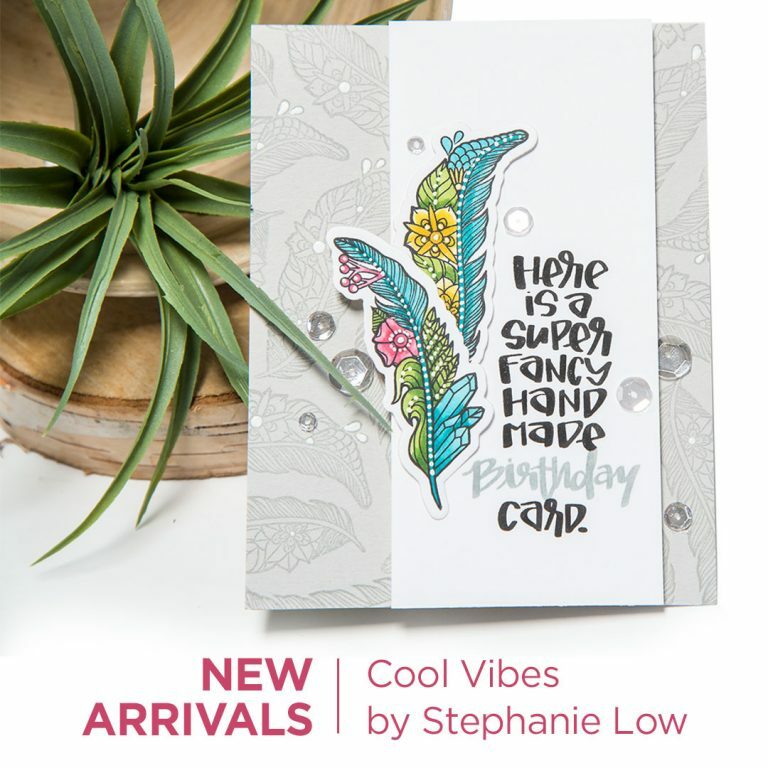 The sentiment you see on this card is a sneak peek of a new set, also from Stephanie! Stay tuned for it in January! I stamped sentiment in both gray and black onto a white cardstock panel and foam mounted the panel onto the card. Next, I adhered my feathers and embellished this project using Sparkling clear Sequins from Pretty Pink Posh. 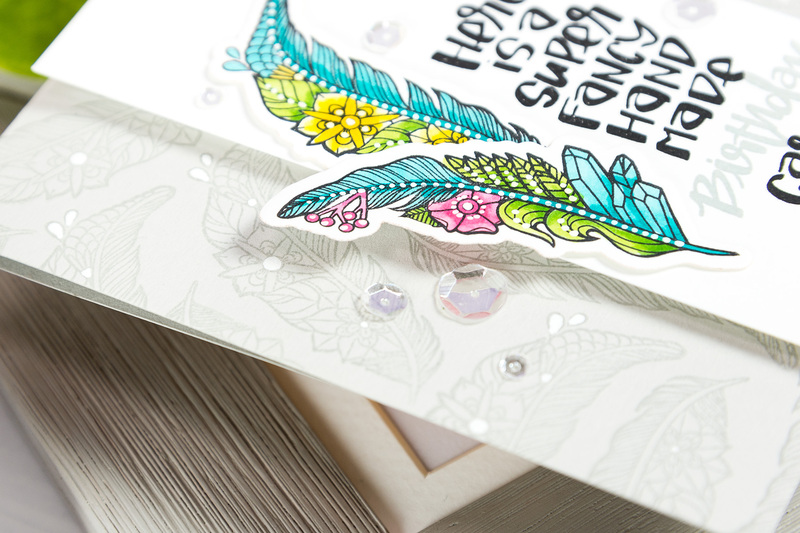 We’ve got tons of inspiration waiting for you created by the collection designers themselves and fabulous guest designers! Be sure to visit each one of their blogs and leave them some love! To celebrate this release, we are giving away a $50 gift certificate to FIVE lucky winners. Please leave a comment on Spellbinders blog by Sunday, November 26th 11:59 pm EDT for a chance to win. 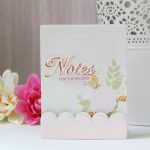 The winners will be announced in this post on Spellbinders blog the following day. Thank you everyone for entering our giveaway. Thank you for stopping by! Have fun crafting! What an array of styles on those products. I love Yana’s cards. Off to check out all the blogs. Wow… What a lovely set of new release. So many goodies. Gorgeous cards by talented artists. Love all the new lines. Wow!! 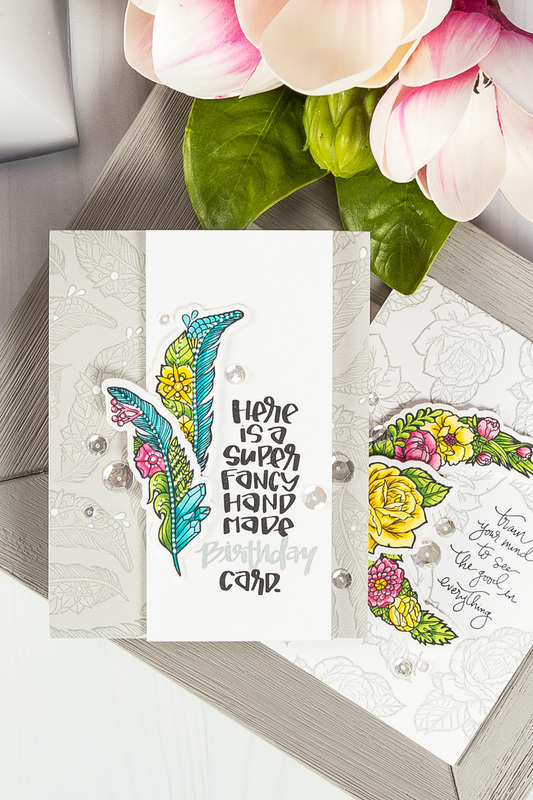 I’m drawn to your technique using the neutral card base with the vibrant floral colors!! The die cutting is so clever! What a gorgeous card by Yana, as always! The feather is super pretty!!! your card is amazing. can’t wait to see all of the inspiration. I just love ❤️ the looks of these cards! Thanks Spellbinders for the inspiration and a looks at your new products! What an awesome release! 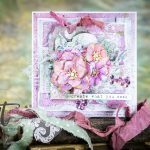 Love the cards and ask the inspiration in this blog hop and release. Yana, your cards are simply amazing !! It’s always so hard to choose which die to buy. I really appreciate seeing cards made with all of them. I really like the the paper made breakfast, it’s really cute!! The new release is wonderful. You have such talented designers. Such a great new release and so many fabulous projects to showcase it. 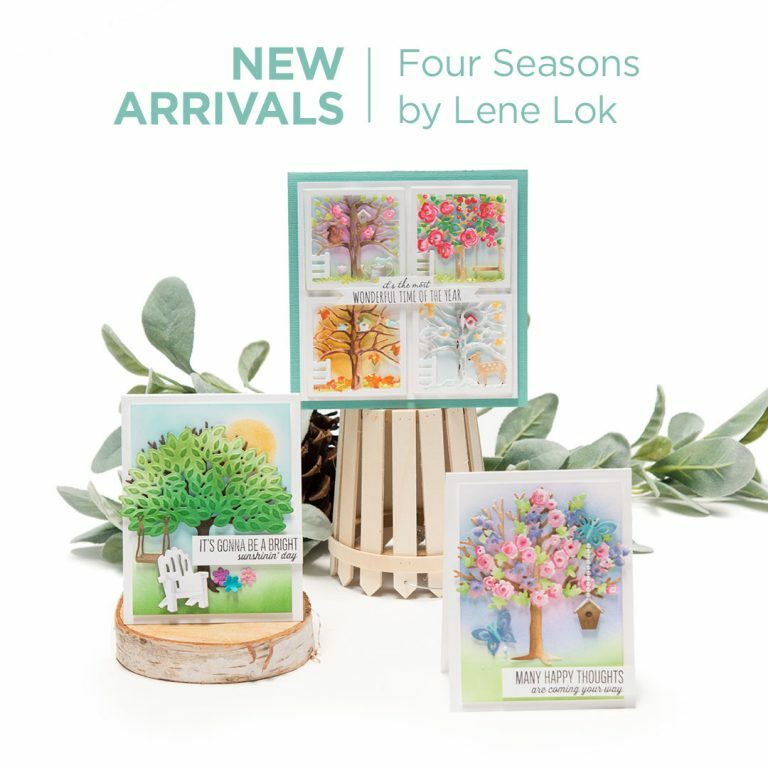 Such beautiful new releases! Love your details! yay! i see my name but i haven’t received an email. 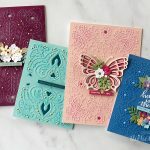 I will email customersupport@spellbinders.us.